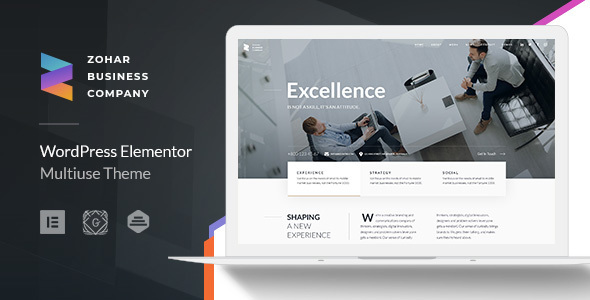 Zohar is a minimal and modern business consulting WordPress theme which comes with multiple homepage and inner-page layouts as well as a multitude of useful features you can take advantage of to build your corporate website. The template includes 2 homepage layouts with different styles – one with a slider and one with a fixed header image. You can select any homepage style you prefer for your website. A number of portfolio layouts allow to represent your work in a variety of variants thanks to the Case gallery coming with fullwidth, isotope, packery, and many more types. If you want to run a business blog, you can select from a few blog layouts including fullwidth and masonry one as well as the ones with left and right sidebar. Check out the single post styles available and create your blog with a piece of creativity. The theme also comes with shopping functionality and has the product page and single product layouts pre-packed. Check out the theme demo and enjoy.